Sorry about missing Monday again, not sure why I decided Monday was the best day to write a blog every week. Germany is one of the most powerful countries in Europe and will be the place I will call home for at least the four years once I leave. 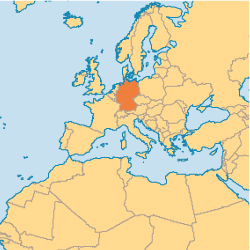 If you look at the map to where France, Germany and Switzerland intersect that is where I will be living in a small town called Kandern. Right now Germany is not only physically in the center of the EU, but they are also one of the countries trying to keep it together and bailing out the other countries which are struggling. At the same time Germany is decreasing in population and Christians. While it is still viewed as a Christian nation and God is still allowed in the schools, the Christianity in Germany is more of a tradition than a relationship. More and more people are laving the church or never even joining it in the first place since from what I understand tithing is a state-mandated thing if you are a member of the church. On a positive note the Evangelical population is increasing at the same rate that non-evangelicals are decreasing, but Evangelicals still make up only a small percentage (2.1%). All of the missions agencies headquarters located in Kandern for their organization to be raising up disciples. For my future co-workers to use their gifts and talents in and out of the office for the glory of God. 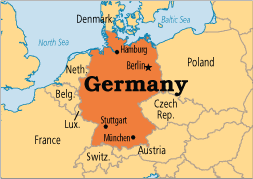 For German believers to start new non-state run churches and reach out to their fellow Germans.